The concept of micro hydro power is pretty much the same as the large scale version. Basically you need a constant flow of water over a drop in height, which drives a turbine to create electricity! 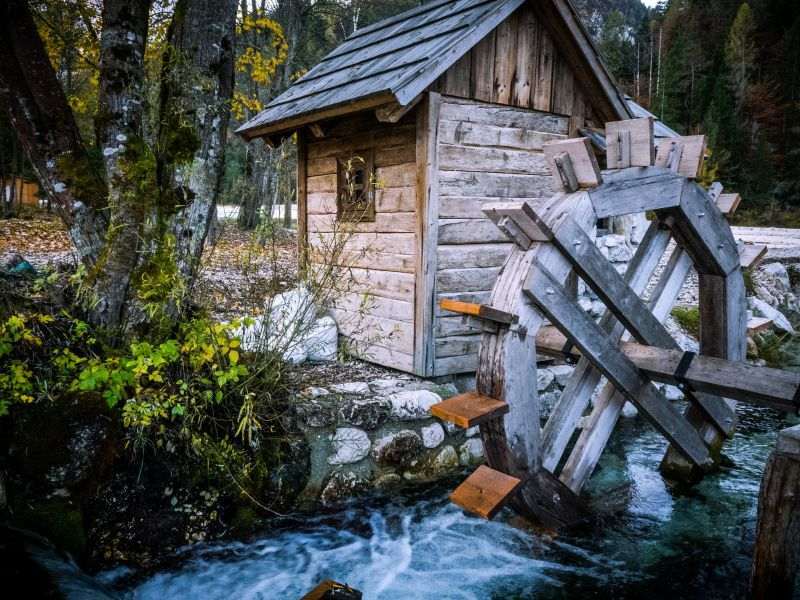 Small-scale micro hydro power is a clean, efficient and reliable form of energy for the homestead – with some conditions. As with any system, however, there are advantages and disadvantages. You also need to have an understanding of potential energy and it’s pros and cons in supplying micro hydro power. With a little research and some skills development, generating electricity from water using this method can be a viable solution to powering your off-grid home. A small stream will do – The energy output from your micro hydro turbine is determined by two important components. How much water flows through the system and the head height (the drop in gradient to give the water potential energy). Storage of water in a dam or reservoir is not required. Most small scale turbines will be set up to have the water run through the turbine and back into the main stream. This removes the need for a reservoir. Reliability – For remote areas, micro hydro power systems can be more reliable than other sources.This is due to the predictability of the water flow. As mentioned above, the micro hydro power system is predictable and therefore more reliable than other renewable energy sources such as wind or solar. Micro hydro power systems are very efficient, able to generate power from flow as little as 7.5 litres per minute and a drop as small as 0.5 metres to generate a useable supply of power. There are costs involved in setting up a micro hydro power system, but they can be significantly cheaper and relatively maintenance free compared to other renewable power technologies. The determining factors for the costs are mostly determined by the electricity demands of the user. The main requirement is to have a suitable size stream on your property. The stream needs to have the required head height (correct drop in gradient) and flow rate. You will also need to consider the distance from the suitable site of your micro hydro power system to the point where the electricity will be used. Longer distances mean more wiring, which in turn means more cost. Generally, in most areas, the volume of the stream flow will vary depending on the season. During the dry season, the flow will be reduced to lack of rain. In winter, icing over may reduce water flow. These obstacles can, however, usually be overcome if planned for correctly. Micro hydro power is definitely a viable energy resource, should be lucky enough to have flowing water on your property. However, as with most off-grid solutions, you should not have all your power needs supplied by one source. Rather use a hybrid system which incorporates either wind or solar as a redundant supply measure.